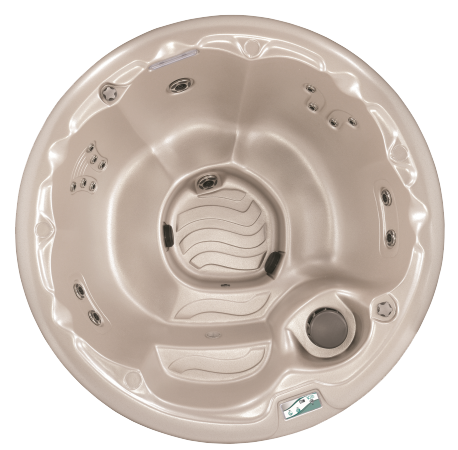 The Vita Spa Circ circular hot tub offers seating for 4-6 people and boasts 16 high power Stainless Steel, adjustable water jets powered by a 5hp water pump. Relax with friends and family in this stylilsh six seater hot tub from Bay Spas in North Devon, and allow the massaging water jets take away the aches and pains from joints and tight muscles. Relax with the Vita Spa Circ, from Bay Spas hot tubs in Devon, and benefit from high performing 5hp water pump, 16 Stainless Steel adjustable water jets targeting major muscle groups. The relaxing and soothing cascading water feature and LED lighting help to set the mood and programmable controls and Air Venturi System help to ease you into the deep, warm water of the Vita Spa Cirque. The team at Bay Spas in North Devon will be able to advise you on the best hot tub for you. You are of course very welcome to visit the hot tub show room in North Devon, where you can try out any of the hot tubs on show.